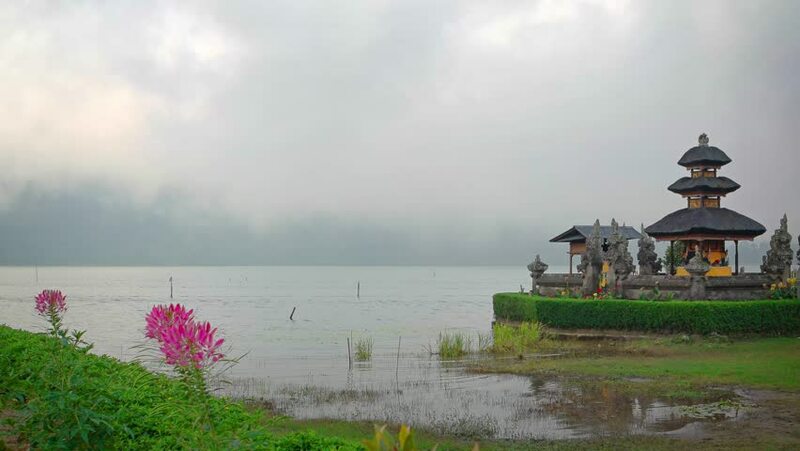 Misty rain obscures the far bank of the lake at Pura Ulun Danu Bratan. a Hindu temple in Bali. Indonesia. hd00:24Pura Ulun Danu Bratan Temple. with its traditional. tiered pagodas and beautiful. waterfront gardens. in Bali. Indonesia.